Indican Pictures has selected Apr. 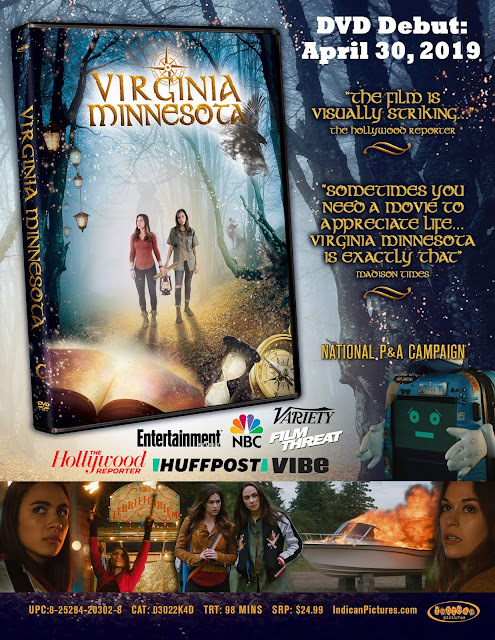 30 for the DVD debut of writer/director Daniel Stine’s award-winning gem-of-a-film, Virginia Minnesota. The film is fresh off a limited theatrical run which yields an ARR of 60 days … and prior to that Stine’s film worked the film festival circuit and piles up win after win! Stine’s story is based on his own memories as a child — his grandparents ran a home for troubled boys — and he coupled this with his desire to showcase the rugged beauty of the northern shore of Lake Superior (filmed in and around Grand Maris, Minnesota) … a place where few people travel, but nonetheless magnificent. For an independent film, sometimes that is all you need to tell a story that draws you in and stays with you long after the credits have run. Stine has switched up the boys home to that of a former home for girls and that is where the story begins with Lyle (Rachel Hendrix — October Baby, The Perfect Wave, Unbridled, etc.) “coming home” at the behest of Hillman (played by Stine), the nephew of the woman who ran the foster home. Other alumni have arrived for the reading of the will, which can only happen when all included in it have been assembled. There is one hold out, Addison (Aurora Perrineau — Truth or Dare, Jem and the Holograms), who refuses to come back to the place (we will learn the backstory of a tragedy that took place there that continues to haunt her and Lyle) for the reading the will. The core of film is what happens next, Lyle goes to the small little town on the Lake Superior shore to retrieve the reluctant Addison and it is the interaction between the two that makes Virginia Minnesota such a marvelous little film. Call it a road trip with beautiful vistas; a bonding series of events … and a cathartic experience for the two alienated young women. 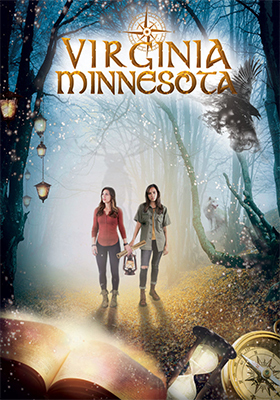 Virginia Minnesota is well-written, blessed with wonderful performances — Aurora Prrineau and Rachel Hendrix are terrific together — and has some nice little touches (a talking robot/computer named “Mister”) that makes this a road trip well worth taking. 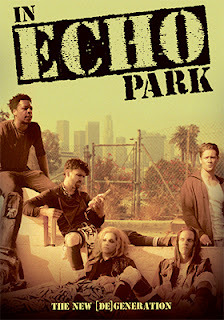 In other DVD release news from Indican Pictures this past week, we learn that writer/director Nathaniel Lezra’s In Echo Park will be making its DVD debut on May 14. Lezra's film is an intense look at the mean streets of Los Angeles, specifically the community that lies between Hollywood and downtown L.A., Echo Park. You know, that area north of the Hollywood Freeway, West of the Pasadena Freeway and known for its picturesque lake (seen in dozens of films dating back to the dawn of film). Tens of thousand of La La Land commuters drive by the outskirts of this melting pot community each day, but rarely venture in. Filmmaker Nathaniel Lezra, who makes his feature-length directing debut here, lived here, he knows the streets and has fashioned a story that draws from his personal experiences. He takes us off of the busy freeways and into the heart of the community where we are introduced to millennial street hustler JJ (Andrew Asper — Retake, Cilla … and who previously teamed up with Lezra for two of his short films, Waiting for George (2014) and Young Bull (2015)) and his girlfriend Nina (Kodi Saint Angelo — 14 Cameras, Throwdown, etc.). Their current home in an abandoned box spring mattress with a view of downtown … JJ is a “musician,” while Nina is an attractive young woman and clearly comes from an upscale family, but for now she has chosen the street. Crossing their path is Jared (played by Jared Brown … he also previously worked with Lezra on his short films No Place for Soft Eyes (2014) and Waiting for George (2014)), a would-be comedian who works the clubs and hopes for his big break. And the mix of characters is completed with Luis (Bryan Michael Nunez — Pretty Dudes), the son of immigrants from El Salvador, who is trying to get an education and make something of himself, but the local ethnic gang views him as nothing more than a future recruit … join us “brother” or else. Their paths intersect, the mix is volatile and we know that it will be explosive. Their current state cannot be sustained. JJ and Nina, must find a path forward and get off of the streets or bad things will eventually happen. Jared needs the big break, or he must move on. And Luis, he either joins the gang-bangers, gets out … or dies. In Echo Park captured Best Feature and Best Feature Director at the Los Angeles Independent Film Festival Awards, plus the Award of Merit at IndieFest Films Awards … Indican Pictures gave it a brief arthouse showcase as well. This one is certainly worth a look-see.